The New Trekker Pellet Insert with Efficient Energy (E2) Technology is the Most Powerful and Efficient Pellet Stoves Ever Designed by Quadra-Fire. E2 Technology Helps Achieve 83.2% Efficiency—Saving Money by Burning Less Fuel. SKU: TREKKER INSERT. Categories: Fireplace Insert, Pellet Stoves, Quadra-Fire, Stoves. 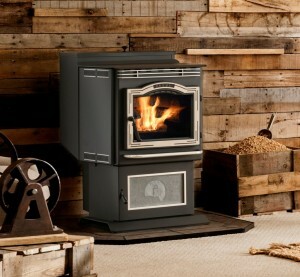 Tags: advanced pellet Inserts, advanced pellet stoves, Affordable pellet stoves, Cast iron pellet Inserts, Cast iron Pellet Stove, Cast Iron Pellet stoves, Cast stove Wisconsin, Corn and pellet stove Wisconsin, corn pellet stove, High efficiency pellet stove, high heat output pellet stoves, Highest Efficiency Pellet Inserts, highest efficiency pellet stoves, Mulitfuel stove wisconsin, Multi fuel stoves, multi-Fuel Pellet stoves, multifuel pellet stoves, new pellet Inserts, New Pellet Stoves, New Trekker Insert Pellet Stove, New Trekker Pellet Stove, Newest Pellet Stove Inserts, Newest Pellet Stoves, Pellet stove with bluetooth thermostat, pellet stoves to heat large areas, Quadra Fire Pellet Stoves, Quadra-Fire, Quadra-Fire Pellet Inserts Wisconsin, Quadra-Fire Pellet Stoves Wisconsin, Quadra-Fire stove, Quadra-Fire Stoves, Quadra-Fire stoves Wisconsin, Quadra-Fire Trekker, Quadra-Fire Trekker Insert, Quadrafire, Quadrafire Pellet Inserts, Quadrafire Pellet Stoves, Quadrafire stove, Quadrafire stoves, Quadrafire Trekker, Quadrafire Trekker Insert, Quadrafire Trekker Insert Stove, Quadrafire Trekker Pellet Insert, Quadrafire Trekker Pellet Stove, Quadrafire trekker Wisconsin, Top of the line pellet stoves, Top pellet stove, Top rated pellet stove, Trekker Pellet Stove Wisconsin, Where to buy Quadrafire trekker. The new Trekker pellet insert with Efficient Energy (E2) technology is the most powerful and efficient pellet stove ever designed by Quadra-Fire. E2 technology helps achieve 83.2% efficiency—saving money by burning less fuel. The standard 7-day wireless programmable thermostat, 80lb hopper and easy-clean cast iron firepot ensure this pellet stove is easy to operate. These efficient pellet-burning stoves are the only stoves available with cast iron construction on all major components—proving it’s built to last. – Available finishes in Matte Black, Mahogany Porcelain and Sienna Bronze Powder Coat. Please note that we stock the Matte Black and Mahogany Porcelain, Sienna Bronze is available by special order. 1 BTU/hr Input based on maximum feed rate per hour multiplied by approximately 8600 BTU, which is average BTU from a pound of pellets. 2 This is a general guide, Please contact us for help in determining the product that best suits your heating needs based on climate, home efficiency, location of the heater, and air movement in the room. 3 Fuel density and pellet shape will affect hopper capacity. *For select products: Heating capacity to be used as a guide only. Please contact us for help in determining the product that best suits your heating needs based on climate and home efficiency.